...whether you are one of our established regular clients or are a new visitor to our salon. 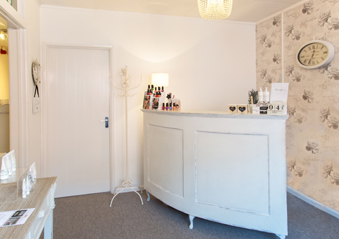 Our beautifully elegant shabby chic themed Beauty salon, offers a sense of calm & tranquillity from the minute you walk through the door. 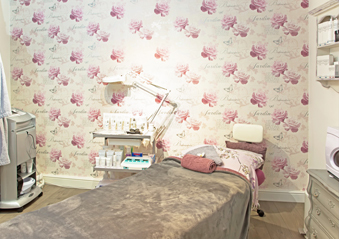 We opened 1st August 2014 & with over 23 years experience between us we offer an extensive treatment list offering everything from, Manicures | Pedicures | Nail Enhancements | Waxing including Hollywood & Brazilian | Threading | Electrolysis permanent hair removal | Spray Tanning | Massage | Facials & much, much more. We pride ourselves in offering the highest quality Treatments & using high quality salon professional products. 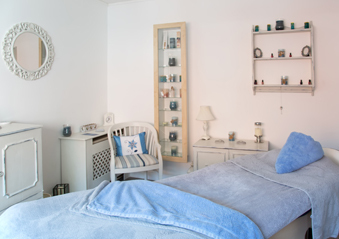 We researched many skin care companies and feel we made the perfect choice with Katherine Daniels cosmetics, which is a beautifully British concept they use only the highest quality natural ingredients. All the Katherine Daniels products are FREE from PARABENS & MINERAL OILS.